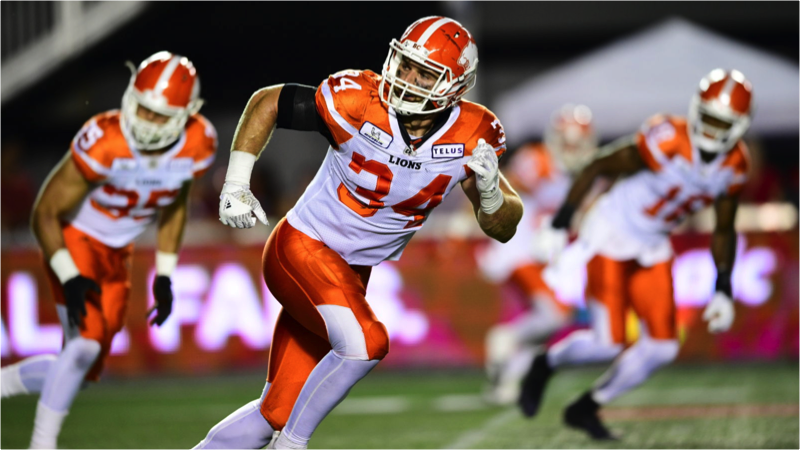 He saw action in all but one game and took a few reps on offence in addition to his solid work as a special teams foot soldier. 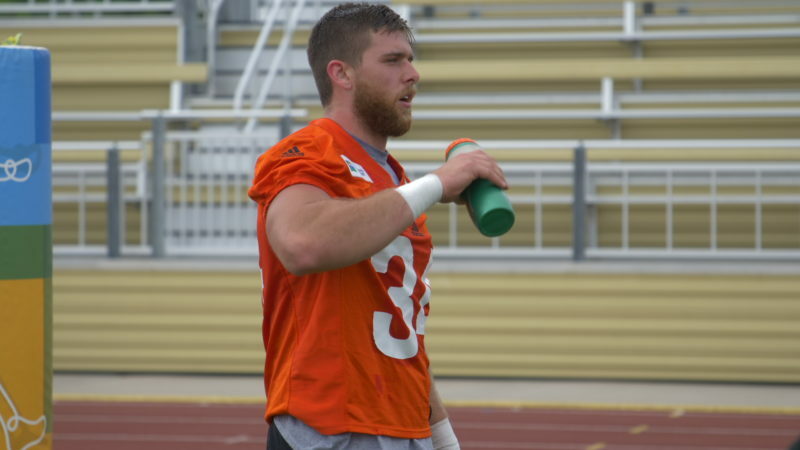 But because David Mackie isn’t a thump his chest or “I told you so” type of guy, he’s hesitant to admit he exceeded his own expectations after the Lions called his name in round two of the CFL Draft last May. “When the whole draft process started and I was training for the combine I was just hoping to make it to training camp somewhere,” remembers the Lions’ fullback. As it turned out, the regular season opener would be the only time Mackie didn’t suit up. 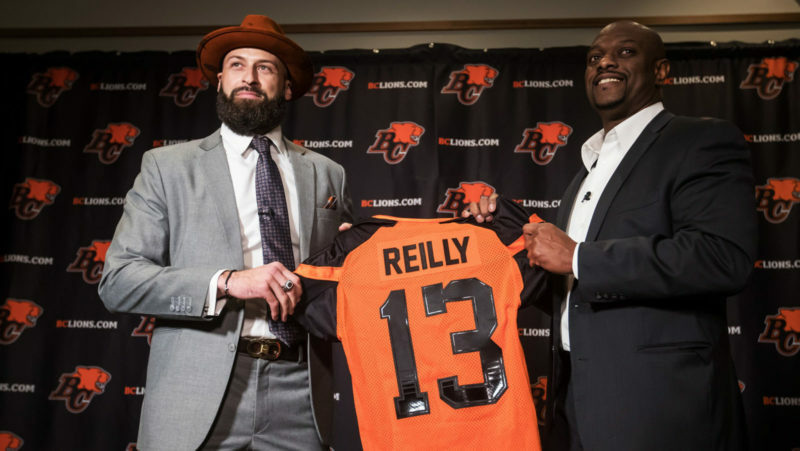 Along with keeping the right mindset through camp in Kamloops, the former Western Mustang credits Rolly Lumbala – the elder statesman of all CFL fullbacks – for helping him adjust to professional football. “It was great. I knew coming in that he’s been there for over a decade and that it would be cool to learn from a guy that had seen so much,” says Mackie. Now the pride of Jackson’s Point, Ontario is looking ahead with the idea of being even more productive in year two. 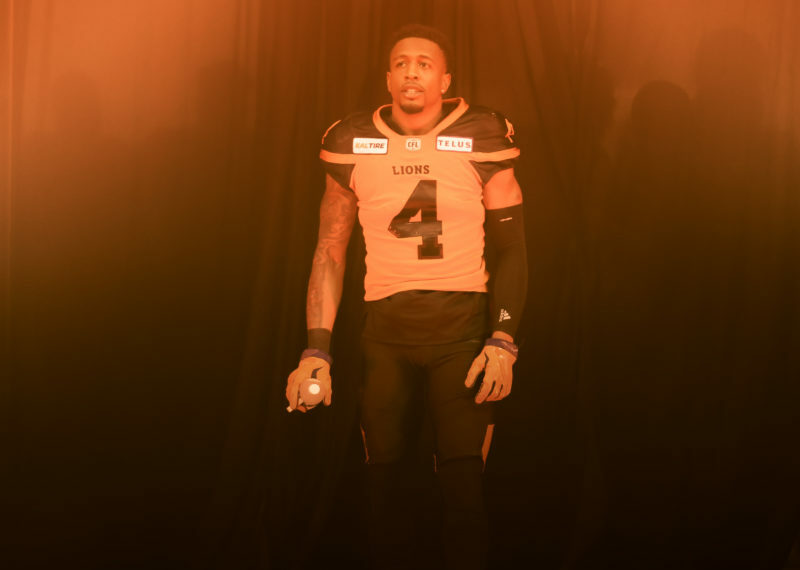 As is the case with many youngsters coming off their maiden CFL voyage, Mackie knows he has to approach it like he’s still battling for a spot, especially with a new coaching staff evaluating him. Special teams coordinator Taylor Altillio and assistant Keith Stokes are now overseeing Mackie’s group. “It’s funny, I was talking to my family and some of the guys I train with and joking that it’s almost like I’m heading into a whole new organization,” he says. A tiny outpost on Lake Simcoe- roughly 86 kilometres from Toronto- Jackson’s Point was more of a pond hockey type of town. We are all but certain Mackie represents the first from there to suit up in a CFL game. Steve and Wendy Mackie gave young David their blessing and allowed him to commute two hours by bus to Bill Crothers High School near Markham. It was the closest high school that had a football team. After all, football was in Mackie’s blood. His grandfather Clarence “Baz” Mackie was a centre for the Toronto Argonauts in the 1950s. Needless to say, the family has remained a priority for the younger Mackie. Between his own workouts and training clients in the gym, Mackie has made a point to spend as much as he can with loved ones. Chasing the football dream has made those opportunities few and far between in recent years. “I left home at 19 to go to Western so this is the first offseason where I get to go home, sit down with my sister, brother, my parents and just rekindle our family friendship,” explains Mackie. 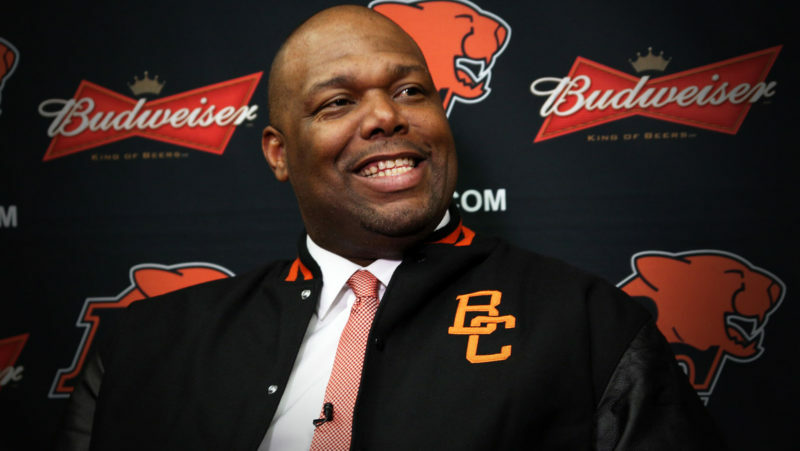 With GM Ed Hervey continuing to put his stamp on the roster since taking over in late 2017, one area he has done well in is improving the Lions’ Canadian content. Mackie could be a big piece moving forward.